Congrats to Matteo Jarmillo on getting third place at the Dream Kids Tournament! FREE Beneil Dariush Brazilian Jiu-Jitsu workshop on April 28! Email us at KingsAnaheim@gmail.com to reserve your spot! 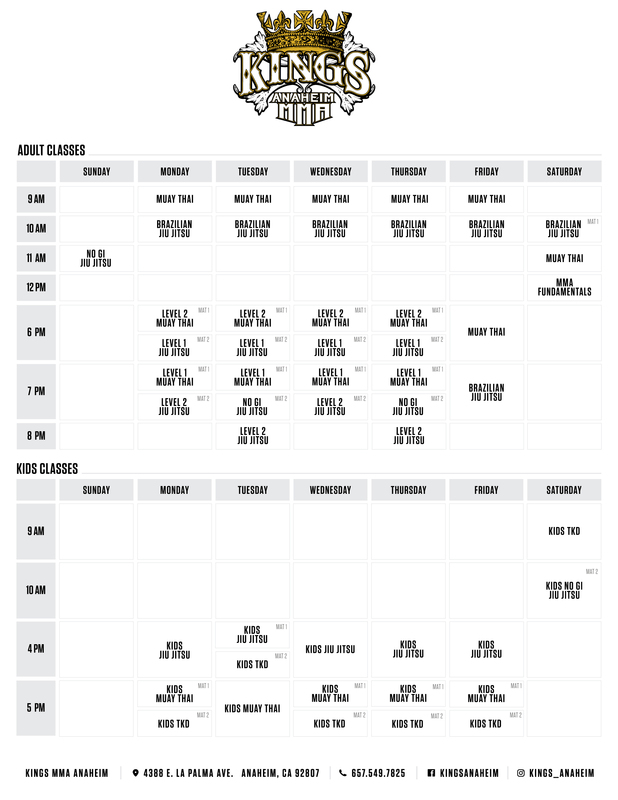 Introducing our NEW women’s only kick boxing and fitness class! Come in and try it out for FREE! Congrats to Coach Arthur on his victory at Glory 52! Congrats to Coach Arthur on his Glory debut! Congrats to Laura Anderson on another victory! Congrats to Sebastian Garcia for medaling at the Kids Pan Ams! Congrats to Levi for his performance at Dream and his promotion to grey belt solid! Congrats to Brandon for getting second place at Dream BJJ tournamet! Congrats to Ricky and Sebastian on their victories at the Dream BJJ tournament!